2017 was the year I discovered Audible, which changed my reading life forever. Below is a list of the books it has allowed me to read this past year, along with some short notes. I hope you can find something that piques your interest for your own 2018 reading list! Today Will Be Different was the last novel I actually "read." I was about to say it was my last paperback, but that would be wrong-I read it on my beloved Kindle. I love Maria Semple. Where Did You Go, Bernadette? was genius, and Today Will Be Different did not disappoint. A relatable, flawed and troubled protagonist is everything for me. I highly recommend this novel to those seeking literary fiction at its best. 11/22/63 was my first Audible book and also my first Stephen King novel (yes, yes, I know!). The creativity and the attention to detail of this one blew me away. Just to think of all the research that went into this novel! Highly recommend to thriller lovers. I've resisted reading Liane Moriarty for a while. The rebel in me sometimes winds up missing out on something fun just for the sake of being contrary. But HBO was coming out with an adaptation (I don't have HBO), so I decided to give it a try. Holy crap, was I immediately hooked! 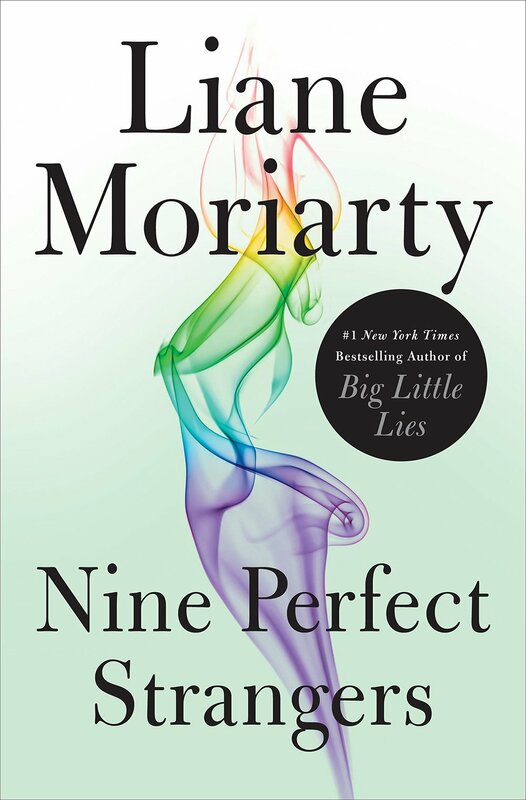 Liane Moriarty is one of my most favorite authors now. The way she writes her characters is impeccable. They are nuanced, they are relatable. Loved Big Little Lies. Pretty much "read above." Highly recommend to those who love quality women's literature. I've heard a lot of buzz about the Tana French mysteries and finally decided to give this one a try. It was good, and I certainly wanted to know what comes next, but it didn't click that much for me. I'm curious about the background of the main character, but I'm not sure I'll continue with the series for now. I may get back to it. I'm sorry to admit this but The Couple Next Door is my least favorite book this year. This doesn't happen often, but try as I might, I still can't find much to say about it. There is too much telling, barely any showing, and the whole thing is riddled with stereotypes on every level. This is a well ranked and reviewed book so this was quite a surprise. After having such a negative experience, I simply had to cleanse the palette with some more Liane Moriarty. What Alice Forgot wound up being my favorite book by the author. Alice and I share quite a lot in common. A highly suspenseful novel! I can't wait for the next installment. I don't read much YA but this was such a thoughtful book. Simply lovely. It does a wonderful job at attempting to renew your faith in mankind. Highly recommend to fans of the genre. This is probably my most favorite thriller. I could not turn it off (an Audible equivalent of being unable to put the book down). Great imagery, great foreshadowing, a great story. It's #4 in the series but I read it as a standalone book and it totally worked.